Reagan Arthur Books, 9780316223287, 224pp. Eric Muller has been trying to hack the girlfriend problem for half his life. As a teenage geek, he discovered his gift for programming computers-but his attempts to understand women only confirm that he's better at writing code than connecting with human beings. Brilliant, neurotic, and lonely, Eric spends high school in the solitary glow of a screen. By his early twenties, Eric's talent has made him a Silicon Valley millionaire. He can coax girls into bed with ironic remarks and carefully timed intimacies, but hiding behind wit and empathy gets lonely, and he fears that love will always be out of reach. So when Eric falls for the beautiful, fiercely opinionated Maya Marcom, and she miraculously falls for him too, he's in new territory. But the more he learns about his perfect girlfriend's unresolved past, the further Eric's obsessive mind spirals into confusion and doubt. Can he reconcile his need for order and logic with the mystery and chaos of love? This brilliant debut ushers Eric Muller-flawed, funny, irresistibly endearing-into the pantheon of unlikely heroes. With an unblinking eye for the absurdities and horrors of contemporary life, Gabriel Roth gives us a hilarious and heartbreaking meditation on self consciousness, memory, and love. "Gabriel Roth is a natural. This is a very assured first book - fast, funny, full of snappy dialogue, and never losing its poise even when it's glancing into the abyss. I think he's a find." "A wise and mature novel, a cool and contemporary one. It announces the arrival of a bright new talent." 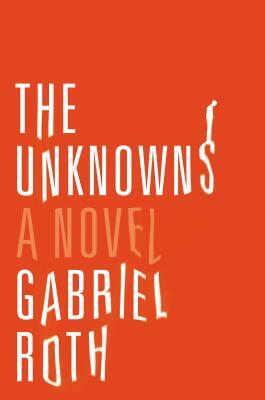 "The Unknowns is a confident novel that manages to be both funny and sad."